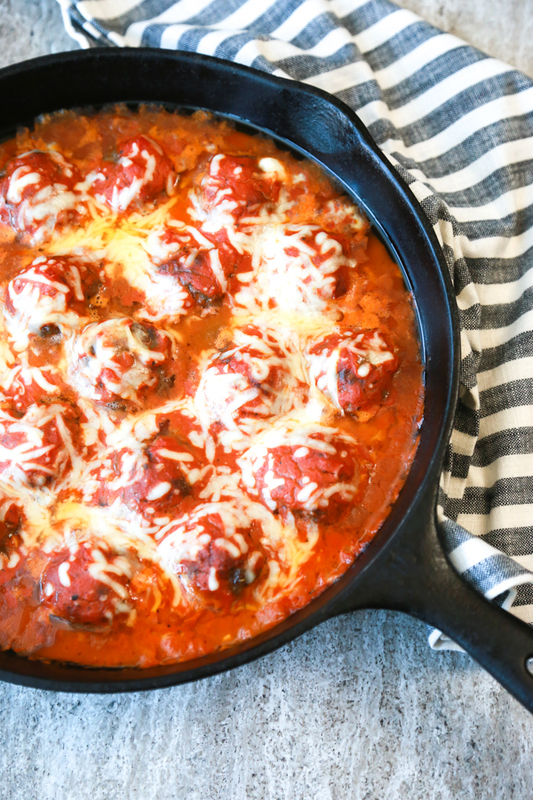 If you’re following a Ketogenic lifestyle, these Keto Cheese Stuffed Meatballs are the perfect addition to your meal plan. I’m currently in my 6th month of following the Ketogenic lifestyle. It definitely hasn’t been an easy 6 months, but it’s been an amazing time of growth and changing the way I look at food. And heck, it doesn’t hurt that I’ve lost a total of 33 pounds along the way. I’m now at my original goal and just 2 pounds from my updated goal. 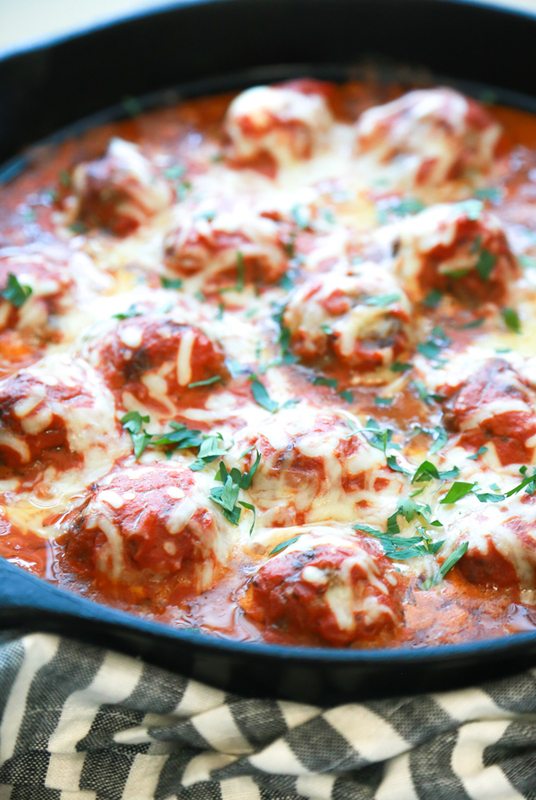 One of the keys that have kept me sane during this lifestyle change has been easy recipes like these Keto Cheese Stuffed Meatballs. I was getting so tired of beef patties and cheese that I had to do something to change it up a bit. While these Keto Cheese Stuffed Meatballs are basically just meat and cheese, they’re so much better than beef patties with cheese. 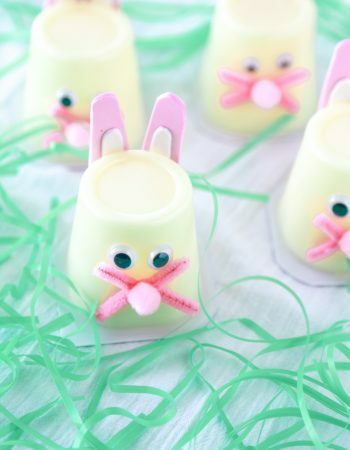 They still give a boost of fat while being more delightful to the palette. When my husband and I eat these Keto Cheese Stuffed Meatballs, we make them a meal all on their own. 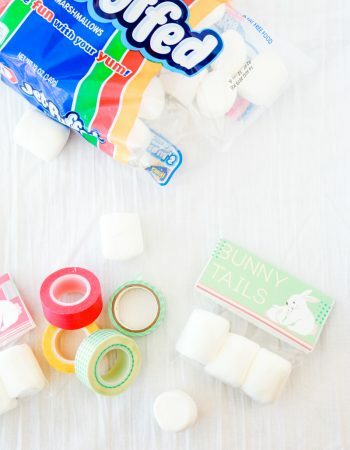 They are so filling and packed with flavor, that you really don’t need anything else to go with them. But, if you like to have something else with dinner, you can serve them alongside a Keto-friendly pasta. Some great low-carb alternatives to noodles are Zoodles (zucchini noodles), Spaghetti Squash or Shirataki Noodles. These Keto Cheese Stuffed Meatballs are about 6 carbs per serving, which is 3 meatballs. You could make these lower carb by leaving out the marinara sauce. However, the marinara sauce adds so much flavor to the dish that I think the added carbs are worth it. Just make sure when you’re buying your marinara sauce that you buy one with no more than 6 carbs per 1/2 cup. And to be completely honest, you don’t eat all the marinara sauce anyway so it’s probably even lower carb than calculated. That’s what I tell myself anyway. 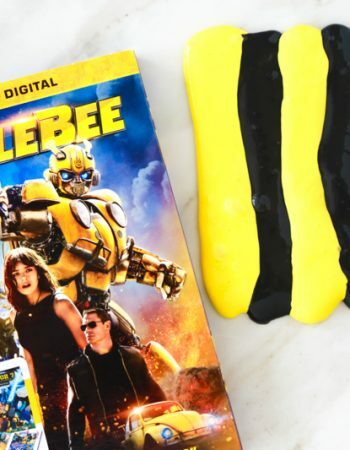 If you’ve been living the Ketogenic lifestyle for a while you probably know all this, but here are some tips for beginners. When buying the mozzarella cheese for this recipe, cheese sticks and shredded, I buy the low moisture, whole fat (whole milk) variety. When eating Keto we need all the fat we can get. 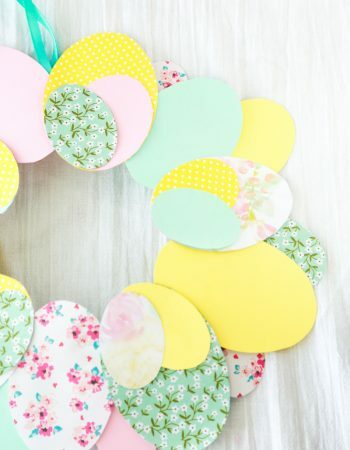 If you can’t find it in store, it’s okay to use the part skim variety. But just so you know, it melts a little bit differently than the whole fat option. These meatballs also produce a lot of fat – that’s totally normal. Make sure you use an oven safe pan that is deep so that you don’t accidentally spill it when taking it in and out of the oven. I love using a cast iron skillet. This one is affordable and works just as great as some of the more expensive ones I have in the cabinet. Making Keto Meatballs is actually very easy and doesn’t take much time at all. 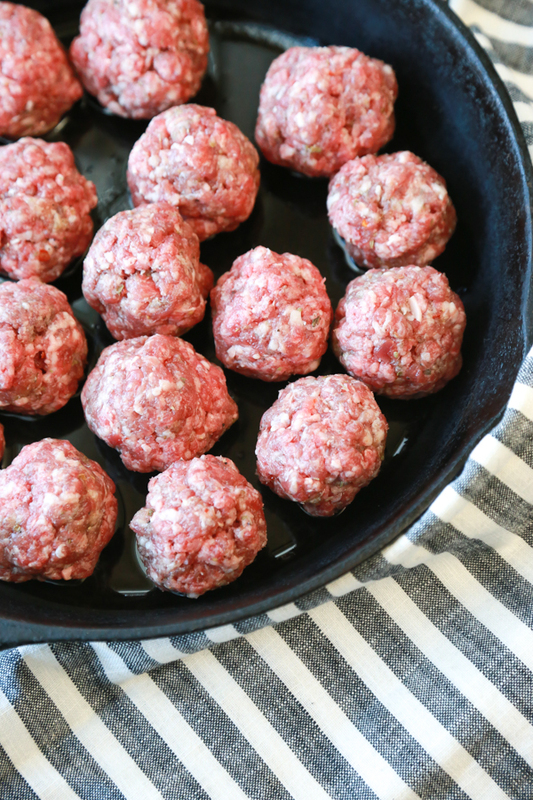 To make these low-carb meatballs you’ll combine the ground beef, Italian sausage, salt, black pepper, dried oregano, and garlic powder in a large bowl. I find that using my hands works better than using a kitchen utensil, but do what works best for you. Be sure not to overwork the meat while you’re mixing everything together. In my experience, it creates a tough meatball. The next step is to pour the avocado oil into an oven safe pan (I love my cast iron) and make sure the entire bottom of the pan is covered with oil. 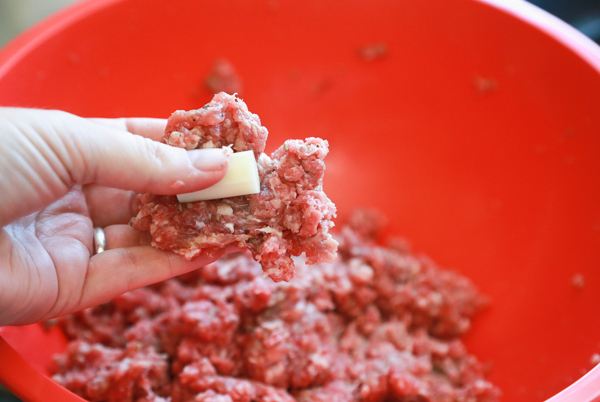 Then, grab about 1/4 cup (give or take some) of the meat mixture and put a piece of the mozzarella string cheese inside and then roll into a ball. 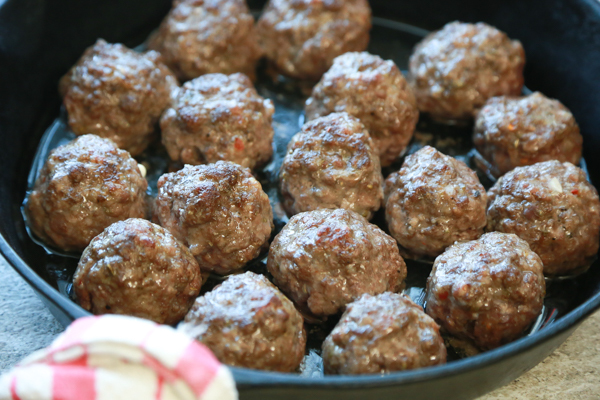 Place the meatball in the prepared oven-safe pan and repeat until the meat is gone. Then, turn the oven on Broil and place the pan into the oven for about 12 minutes, or until the meatballs turn a nice golden brown on top. 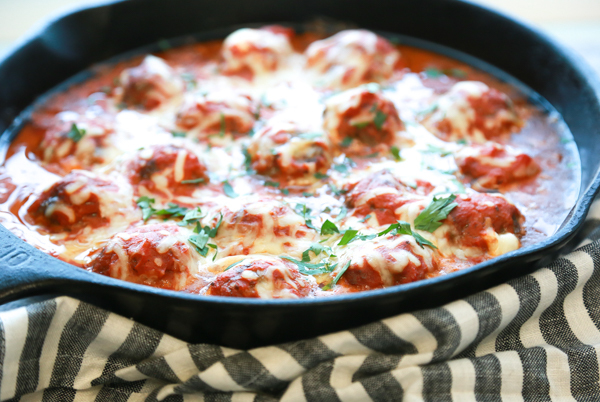 Carefully remove the pan from the oven and pour the marinara sauce over the top of the meatballs. 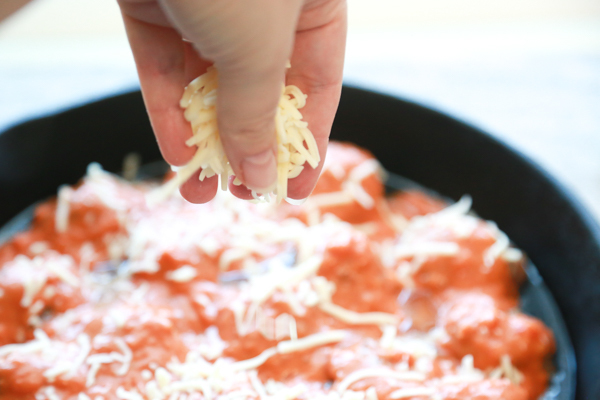 Then, sprinkle the mozzarella cheese over the top of the marinara sauce. 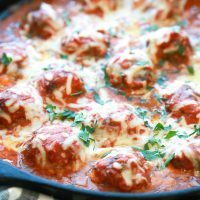 Return the pan to the oven and turn the oven to Bake at 350 degrees and bake for another 12 minutes, or until the internal temperature of the meatballs reach 160 degrees. Carefully remove the pan from the oven and garnish with chopped parsley before serving. Y’all, I’m in absolute love with these meatballs. They’re so full of flavor and are perfect for a Ketogenic lunch or dinner. Eating Keto? Try these easy one-ingredient Keto Cheese Crackers or these Bacon Wrapped Brussels Sprouts! Want something a little sweeter, these these Keto Almond Butter Cups – so good! 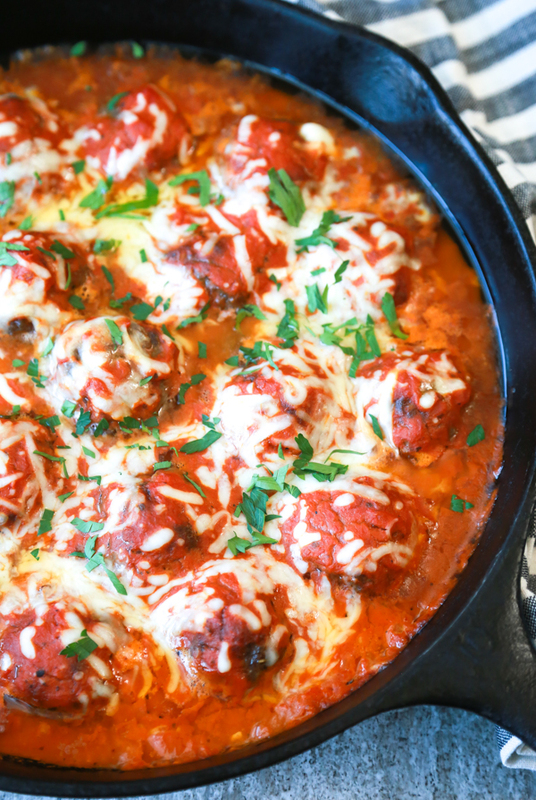 Don’t forget to pin these Keto Cheese Stuffed Meatballs to your Keto Pinterest boards. These Keto Cheese Stuffed Meatballs are a great way to please the palette while boosting your fat intake for the day. 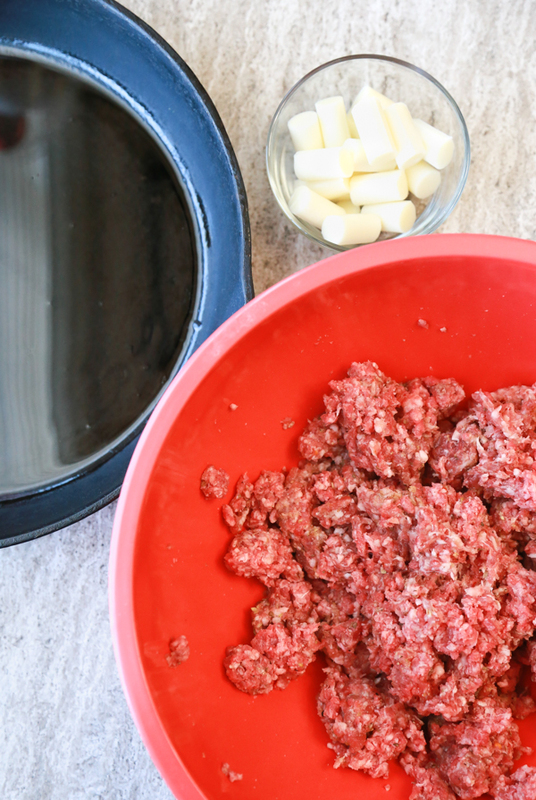 In a large mixing bowl, combine ground beef, Italian sausage, salt, black pepper, dried oregano, and garlic powder. Pour avocado oil into an oven safe pan and make sure the entire bottom of the pan is covered with oil. Grab about 1/4 cup (give or take some) of the meat mixture and put a piece of the mozzarella string cheese inside and then roll into a ball. Place the meatball in the prepared oven-safe pan. Repeat until the meat is gone. Turn the oven on Broil and place the pan into the oven for about 12 minutes, or until the meatballs turn a nice golden, brown on top. 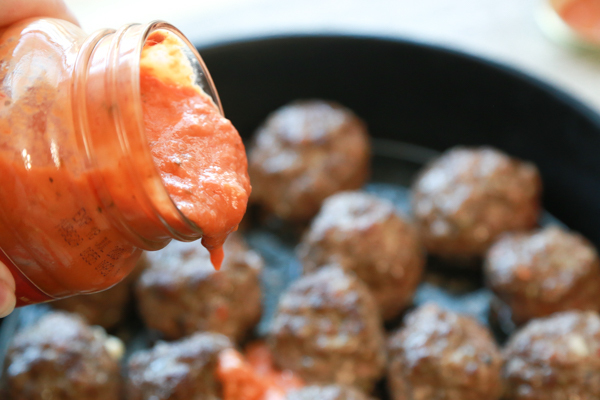 Remove the pan from the oven and pour the marinara sauce over the top of the meatballs. Then, sprinkle the mozzarella cheese over the top. Carefully remove the pan from the oven and garnish with chopped parsley. While it's important to use low moisture full fat mozzarella cheese, if you can't find it, it's okay. In my local market, there is usually very few in the cheese case. Sometimes it helps to ask a worker if there are any in the cooler in back. 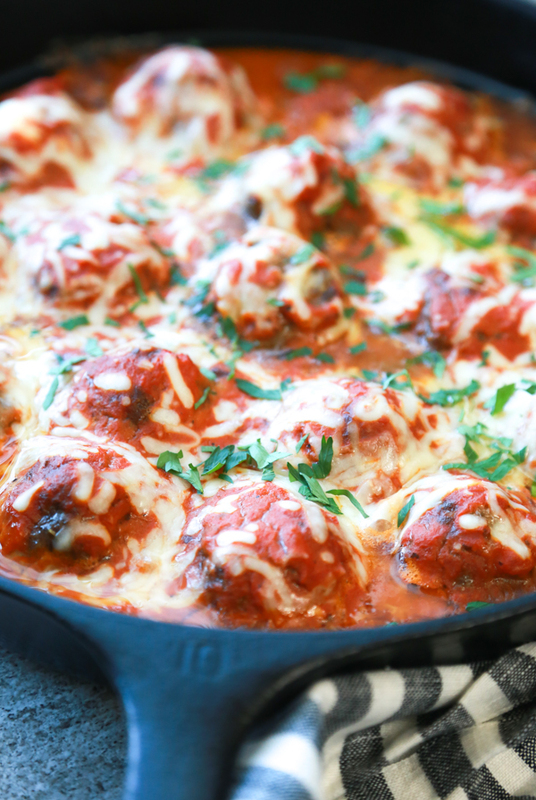 These Keto Cheese Stuffed Meatballs are very filling. I can usually eat 4 at most at dinner with no other sides. If I'm eating them with something else, I can usually only eat 2.